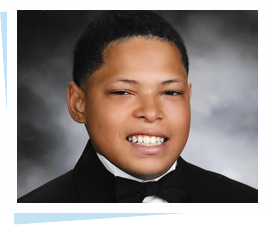 A 2015 high school graduate, Chris plans to attend Chabot Community College in the fall. Chris survived a random shooting in 2008 when he was 10 years old. He has used a wheelchair and experienced chronic pain since then. He lives in the East Bay with his mom, dogs Kaine and Misty and lizard Geko.